After a cool and misty start for the Welcome to Country smoking ceremony it didn’t take long for the Four Winds Festival to catapult the audience headlong into the Four Winds Rap, performed by Warren Foster Jnr. 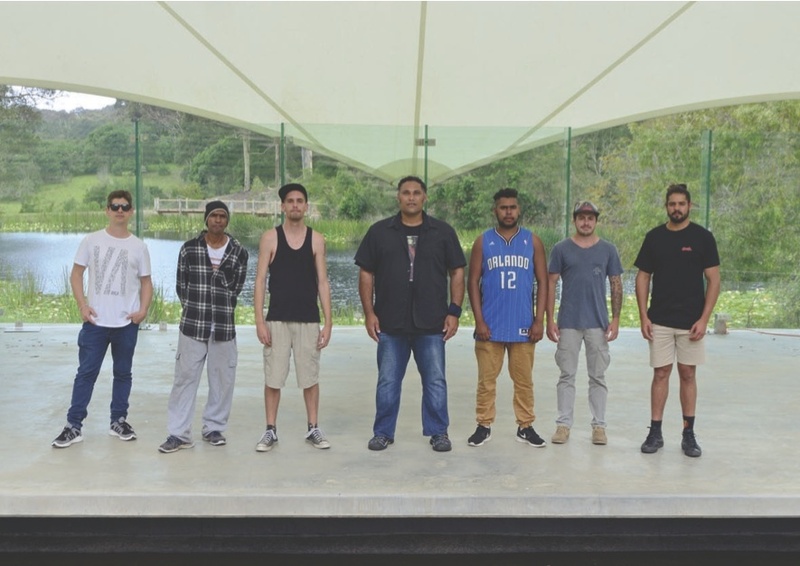 The rap (Look, Listen, Nylarga, hear the sound of the voice, hear the sound of the birds) was developed with Radical Son’s David Leha working with the Yuin people. By 9.45 we had visited three continents as exquisite music on the flute and the Chinese Erhu emerged mysteriously from the bushes, and then we moved onto to a piece perfectly suited to outdoor playing – Dvorak’s Wind Serenade. With it came the sun. The 25th anniversary was celebrated with readings from the late Neilma Gantner’s beautifully observed accounts of moving to Barragga Bay some thirty-five years ago, accompanied by a Sculthorpe String Quartet and a moving tribute to Neilma by her sister Marigold Southey who read John Masefield’s Sea Fever. Festival goers soaked up the atmosphere, and the strong sense of community, Bermagui is a small town that does big things. The site delivered as always, with a flock of larrikeets flying over in the middle of the Ravel String Quartet, giving a few audience members a moment to reflect that the Navarra Quartet had come all the way from the UK to play in the middle of the bush accompanied by the wildlife. The galahs had better timing as a flock squeaked by in the silence between movements in the Wind Serenade, while a black cockatoo tried to compete with the brass. But it all added to the sense of Four Winds being a special place to play music. Artistic director and clarinet player Paul Dean had asked James Ledger to explain the piece he has composed to be world premiered tomorrow, using a small orchestra to demonstrate what he had written and why. The music, called the Natural Church is about night and the bush and the image in his mind is the arch made by trees as he drove along a country road at night. Paul Dean has committed to playing 25% Australian music in this festival, and true to his word intriguing works by Paul Stanhope and Peter Sculthorpe were played today. Taikoz made a welcome return, the athletic drummers beating out an incredible rhythm on the giant Japanese drums, the smallest drummer, a woman, having to stand on a platform to reach her drum, but she beat no less loud because of it. The last extraordinary piece by HK Gruber, Frankenstein, is demonic and ghoulish and fun, and deciding to perform it probably reflects the artistic director’s strong sense of humour. Brilliantly sung and presented by the multi-voiced Jason Barry Smith, baritone and master of everything, it was accompanied by Paul Dean and a group of musicians who as well as their own instruments, all played toy instruments, whirled hosepipes above their heads and made weird noises to the accompaniment of the percussionist popping paper bags. There is another wonderful day ahead tomorrow, and tickets are available at the gate and online. Don’t miss it! Children 16 and under are admitted free at Sound Shell events when accompanied by a paying adult. The Festival provides complimentary, qualified on-site child-carers for young children and programs for older children. It is essential to book online in advance. In this workshop we will create a musical work using looping technology and a combination of instruments and styles. Along the way you will be introduced to recording software and equipment with a focus on using “technology as an instrument”. Be prepared to experiment and collaborate. Don’t forget to bring along your instrument (which could be your voice) and also a usb stick to take the work home. Tom Royce-Hampton, percussionist and member of Taikoz, will lead a session of rhythm and movement. Tom’s sessions are lots of fun as well as very challenging and creative. Instruments will not be used in the course of the workshop, so anyone can join in. And those who are learning an instrument, voice or dance will learn new skills that they can apply to their own music making. A little girl, barely four years old, sings her heart out. Baby sleep, sleep, baby, sleep, sleep, baby baby sleep she croons. Her grandpa accompanies her on the piano, looks up when she pauses, she shakes her head and goes on – sleep, baby…..she could sing all day. And then she bows. Ok you say, well her grandfather is Richard Gill OAM, renowned conductor and Australia’s foremost music educator. Of course she sings, and loves to perform. So do all kids, says Richard. Just give them a chance. 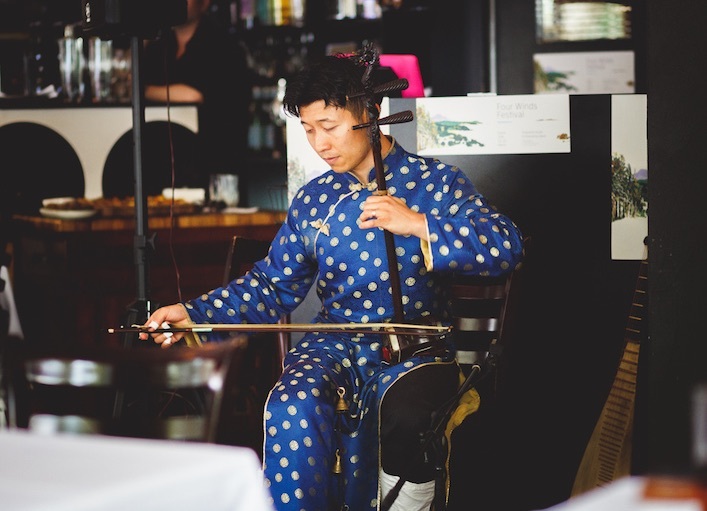 He was speaking in Bermagui, NSW after giving a workshop for music teachers as part of an ongoing program run by Four Winds, a Festival and performance venue, for encouraging music education in the region. Listening has a potent effect on all learning. Children who sing have an advantage in all areas of learning. It’s the bonus of being taught music. Richard Gill says music is fundamental to human beings. “Our ancestors sang for 250,000 years before they learnt to speak. Music is in our DNA,” he says. When babies are still in the womb they learn to listen at around 18 weeks. Just before they are born they can distinguish between highs and lows. Hearing is a survival skill, and as so many mums know instinctively, singing, rocking, and humming to a new baby develops their listening skills, and children who aren’t cared for in this way are at a distinct disadvantage, Richard says. “We want children to make their own music. Teach them to sing, every child can sing. Music can give them extraordinary joy and happiness.“ Which is why as part of the Four Winds Festival at Easter there will be music workshops with drums and electronic looping technology for teens and some of Australia’s finest young musicians will drop into the free childcare for younger kids. So the small people and the large people can all have a wonderful time listening to music in a beautiful environment. Richard Gill sharing his joy of music. We are very pleased to be welcoming the renowned Navarra String Quartet from the UK to the Four Winds 2016 Festival. The Navarra String Quartet has built an international reputation as one of the world’s most dynamic and poetic string quartets. They have been recognised with several awards including the MIDEM Classique Young Artist Award, a Borletti-Buitoni Trust Fellowship and prizes at the Banff, Melbourne and Florence International String Quartet competitions. The Quartet consists of violinist Magnus Johnston, violist Simone van der Giessen, violinist Marije Johnston and cellist Brian O’Kane – between them the members of the Navarra Quartet have impressive musical résumés. All are eminent in their fields and were drawn together from across Europe by a love for chamber music and a desire to showcase it at the highest level. The Navarra Quartet has appeared in major concert venues throughout the world, at numerous international festivals and collaborated with some truly wonderful musicians such as Li-Wei Qin, Jack Liebeck and Guy Johnston. The Navarra String Quartet will be performing Ravel’s String Quartet on the morning of Saturday 26th March in the Four Winds outdoor Sound Shell. 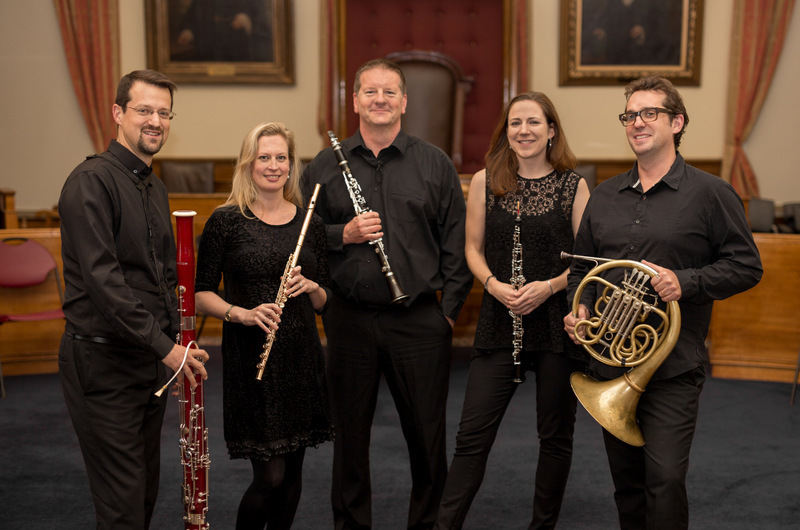 They will also be performing on the evenings of both Saturday 26th and Sunday 27th March as part of the indoor ‘Windsong Chamber Series’ set to run across the three evenings of the Festival. The Navarra Quartet’s ‘Close to Home’ intimate House Concert performance on Thursday 24th March is already SOLD OUT. For more details on the Navarra String Quartet’s 2016 Four Winds Festival performances, click here. To find our more about the Four Winds 2016 Easter Festival and to purchase tickets, click here.